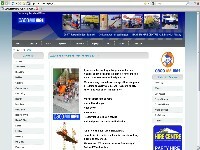 Established in 1976, Cascade Hire Centre started in the Cascades Road, Pakuranga as a very small operation but maintained an effective client service which is the mainstay of the business today. World Fantasy Rugby developed by Kevin Hare, it is the premier fantasy rugby competition on the internet featuring full length match reports, regular team reports via the news group, statistics and a form guide for your team updated each week. The unique thing about WFR that seperates it from any other rugby fantasy competitions is that a player you picked is YOUR player, no one else may select or use that player unless they are good enough to play for their national side. If this is so, don't worry, your players health and form will not be affected. He is still acknowledged as coming from your team. JOHN MOYNIHAN is a leading internationally certified Master Hypnotherapist, Neuro Linguistic Programmmer, Design Human Engineer, and Mind Trainer. 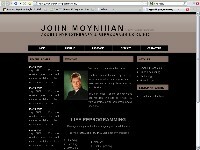 John is a specialist in the field of Mind/Body Deprogramming and Reprogramming.